If you think a friend is experiencing or perpetrating abusive behaviors, there are ways you can help. First off, know that approaching a friend about an abusive relationship may be difficult. You might have already tried to talk to your friend and it may seem like they don’t listen or want to hear it. Know that while your friend is in the abusive relationship, they may not recognize the warning signs of abuse like you have. Even when they do recognize the signs of abuse certain obstacles like threats, fear, embarrassment, or feeling like they have nowhere to go, can make seeking help or getting out extremely dangerous. 1) Start the Conversation – Let them know you have noticed certain things that concern you. Ask them if they have noticed the same and how that behavior makes them feel. 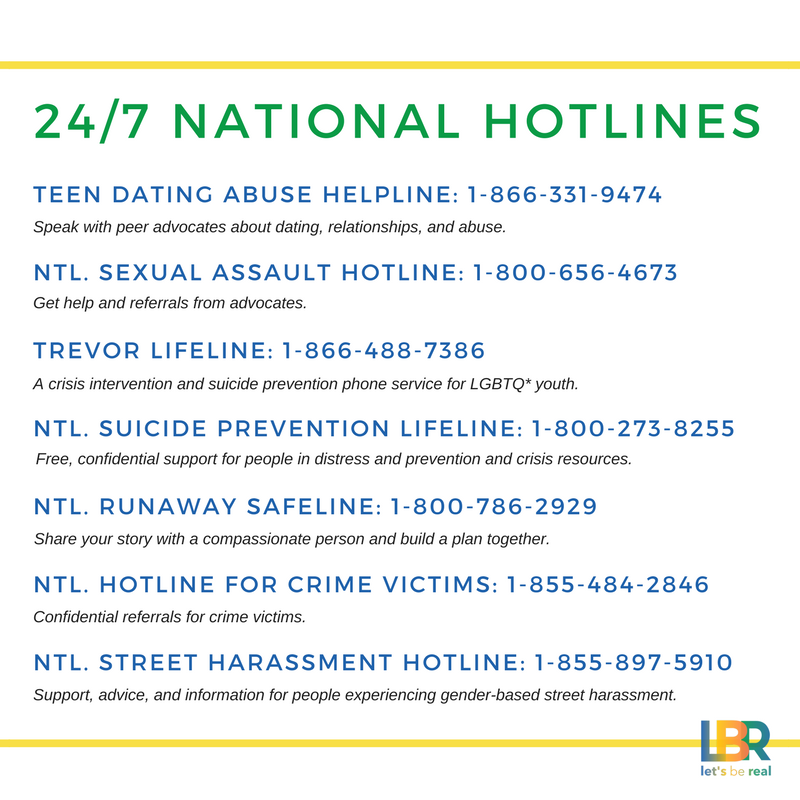 Help your friend identify these behaviors by connecting them to resources or sharing information about healthy relationship signs. 3) Keep Your Communication Door Open – Your friend needs you to listen and be supportive. What you see or hear may make you frustrated and upset. If this happens try to stay calm. If you give your friend an ultimatum like “if you don’t leave, I won’t talk to you again” that closes the door of communication. People in abusive relationships will most commonly speak out to a friend first and sometimes they won’t talk to anyone else. If you shut your door and tell them that you won’t talk to them again, you may be shutting down their only resource or connection to help. Instead, let them know that you want to help and can connect them to resources when they are ready. 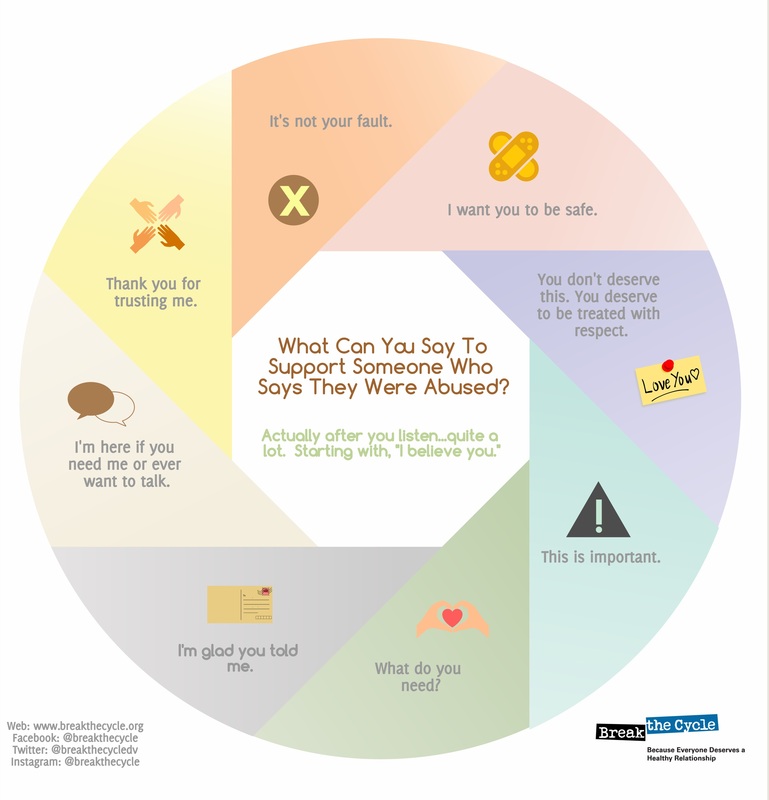 Check out this graphic for great examples of supportive things to say during the conversation. 4) When in Need Get Support – If you feel that your friend is in immediate danger or that their life is at risk or has been threatened, you may want to get emergency support by calling 911. It may not be your first choice for help, but if things are serious it’s important to call professionals for support. You may also consider talking to a counselor, trusted adult, or legal aid if there is no immediate danger present. Remember boundaries, warning signs and healthy relationships are not as clear when you are in an abusive relationship. That’s why it’s important to educate your friends and community about dating abuse and how to have a healthy relationship.